Remove all old stuff that was left behind from previous owners, home builders or roofers. Get a fresh start! 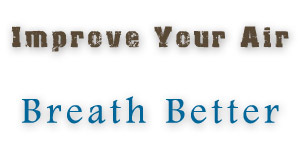 "Fifty percent of all illnesses are either caused or aggravated by polluted indoor air." American College of Allergists. Full visual inspection of Air Duct Return System to insure that the system is safe and operating efficiently. Complete duct system cleaning from each register opening to the plenum (main air distribution area) using top of the line air duct cleaning equipment. The machines that are used do a mechanical scrubbing of the duct system insuring that each line is cleaned to the maximum level. All vents will also be removed and cleaned giving them a like new look with out the high cost of replacement. Complete sanitization of air duct system and building. Sanitation helps to remove germs, bacteria, mold, fungus and virus. In addition we shall also deodorize and disinfect the complete air duct system. 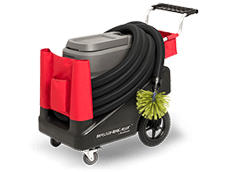 The Rotobrush RotoBeast® duct cleaning machine is a portable machine that is highly effective in cleaning air duct systems. The Rotobrush RotoBeast® has a 35 foot long vacuum hose; inside the vacuum hose is a drive shaft that spins a nylon brush that scrubs the entire duct system as the machine vacuums up the dust and debris. The Rotobrush RotoBeast® system is still to date the most powerful portable air duct cleaning system on the market with 40% more vacuum power than competing systems. H.E.P.A. filtration is used to assure no particles are introduced into the air, including odors/smells. RotoBeast was introduced to market in 2015. Negative air machines use high powered air velocity to create a negative draw on the duct system; therefore, eliminating the chance of contamination leakage into the work. The use of air whips as well as mechanical brushes are then used to break up contaminates through the duct system as the negative air machine is vacuuming up all particles. This systems features a unique 3-stage filtration system, including a final stage 99.97% HEPA filter to assure you that only absolute clean air will be returned back into the environment. Portable Air Scrubbers have been specifically designed for remediation, restoration and abatement contractors. These units allow you to clean and control the air in a work area without contaminating other areas with dirty exhaust air. The uniquely designed filtration system with a 99.97% @ 0.3 micron HEPA filter make these units ideal for capturing smoke, fumes, mold spores, dust and other particulate, returning clean air back to the environment. Sanitation for mold is done with the sanitation solution Oxine®. Oxine® is a Fungicidal –Bactericidal sanitizer used for the removal of mold in commercial, residential and industrial applications. Prior to sanitation the duct work is mechanically cleaned, vacuumed and blown free of dirt, mold and debris using a commercial duct cleaning system. Next, the Oxine® solution is mixed creating a 500ppm solution of chlorine dioxide. This solution is then applied to the duct system using a commercial fogger ensuring that all areas of the system are treated. Ozone Generators are the most effective tool for removing mold. Ozone is one of nature’s natural cleaning agents turning oxygen into ozone cleaning the air and then it reverts back to oxygen. Ozone generators are used to help eliminate mold. It is for this reason that after each unit is cleaned a shock treatment of ozone is applied.